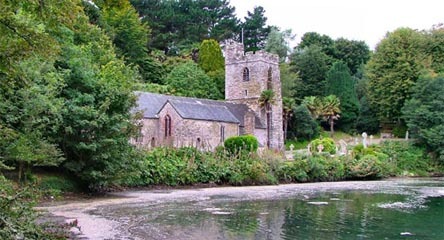 St Just in Roseland Church has nestled alongside St Just Pool on the edge of the River Fal since it was built at the turn of the 13th Century. Every year thousands of people from all over the world come to visit this enchanting church in its idyllic location. Its tranquillity and beautiful gardens have been an inspiration to many, but it is also a working and living Church where there is unwritten history of Cornish men and women of the sea and the land. Generations of mariners, fishermen and ordinary people lie in the churchyard; people who walked miles to attend services there. 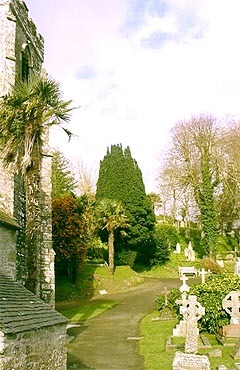 However, the last inspection of the St Just In Roseland Church in January 2010 raisedserious concerns on the state of the roof and stated that plans must be put in hand immediately to replace it. English Heritage was approached but calls for a grant were unsuccessful. Due to this, a Fundraising committee was established in late April 2010 and plans for a £350,000 appeal to replace the roof either in stages or all at once, were put into motion. Names of all sponsors will be recorded in a book, which will be kept in the Church and will be available on request for everyone to read. Events in and around the Roseland will begin with the official launch of the fund on Saturday 17th July at 7.30 at St Mawes Memorial Hall with a basket supper and concert by the Tresillian Singers, joined by Strike Sound. 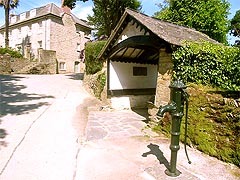 Many other events are being planned such as; Cakes/Cards and Coffee Mornings; local auction of promises; a buffet supper with a difference; a youth event to encourage the younger element of our community to become involved; special concerts in St Just Church and other events, still in the early planning stages. Wider contact throughout the U.K and abroad will help to ensure that anyone who knows or has visited The Roseland will know about our appeal. We have to widen our horizons if we are to achieve our target, but we know we can do it! I was born in Looe in 1942.I have lived all around the world,now in PORTUGAL. I have visited St Just church innumerable time over the years and although I am not a religious man have always harboured a wish to end up there. I am currently completing my will and one of my wishes is for my sons to take my ashes as near as possible to your beautiful church. I have seen your appeal, as I was getting the directions for my sons,and will be donating. My question is:- Can my ashes be buried there in any way perhaps with a small plaque? If not I will understand and they will be asked to scatter in the churchyard or estuary. I will of course be willing to make a larger donation in this event.I do hope you can take my request seriously and look forward to your reply. Please do contact us directly to discuss this further. We will try our best to help you with this matter.